An interdisciplinary program representing occupational therapy, pediatrics, engineering, creative technologies and cinematic arts at USC will improve the lives of children with autism spectrum disorder. Of course, occupational therapists working with this population have an intimate understanding of the daily challenges faced — and successes achieved — by people with ASD and their families, friends and communities. Here at the USC Chan Division, we certainly know that research-based institutions play a vital role in advancing the scientific understanding of the disorder and in improving the quality, responsiveness and availability of services for the population. In fact, the study and treatment of autism has been a component of our mission for more than five decades dating back to the pioneering work of A. Jean Ayres in the 1960s. Our division’s Sensory Integration, Engagement and Family Life Initiative is comprised of faculty members whose collective mission is to facilitate and expand interdisciplinary translational research initiatives designed to improve the development, well-being and participation of people with autism. 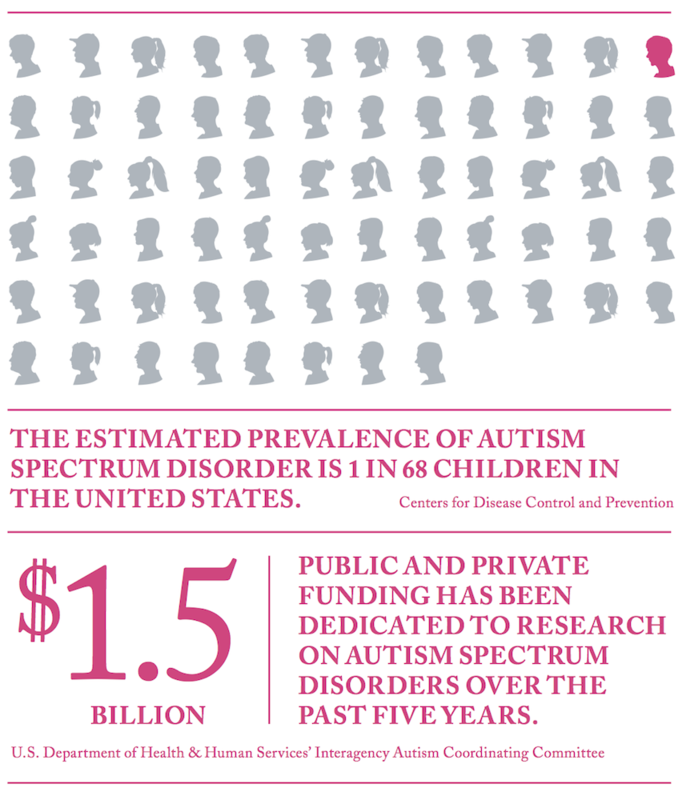 Today, USC is home to a substantial community of scientists who are engaged in ASD-related research and treatment, and we are central players on a Trojan team that is exponentially growing. USC and its affiliated Children’s Hospital Los Angeles (CHLA) have developed community-based clinics that bring more families with autistic children through our doors than any other institution in the Los Angeles basin. Coupled with the Boone Fetter and USC University Center for Excellence in Developmental Disability clinics housed at CHLA, Trojans treat thousands of children with neurodevelopmental disorders — with the largest proportion of patients in all clinics having been diagnosed with ASD. With our top-ranked schools of engineering and cinematic arts, the nation’s No. 1-ranked occupational therapy program and a clinical partnership with one of the country’s leading children’s hospitals, USC is bringing to bear expertise from multiple disciplines on a neurodevelopmental disorder affecting millions of children, adolescents, adults and their families. USC researchers and clinicians have a long and strong history of collaboration and a spirit of cooperation that will enable us to leverage our remarkable research and clinical talent and catalyze our efforts to transform the lives of individuals living with autism. To that end, a select group of scientists from academic units across the university recently convened to spearhead a new effort to formally launch just such an interdisciplinary venture. At the table were faculty members from the USC Chan Division, the pediatrics department from the Keck School of Medicine of USC, the USC Viterbi School of Engineering, the USC School of Cinematic Arts and the USC Institute for Creative Technologies — a cohort similar to the one assembled at the division’s 2012 occupational science symposium on autism in everyday life. Also at the lunch were stakeholders from community clinics and non-profit organizations, other clinicians and people who have autism themselves. At this lunch we discussed our hopes and dreams for what will one day soon be realized as the USC Center for Children and Families Living with Autism. 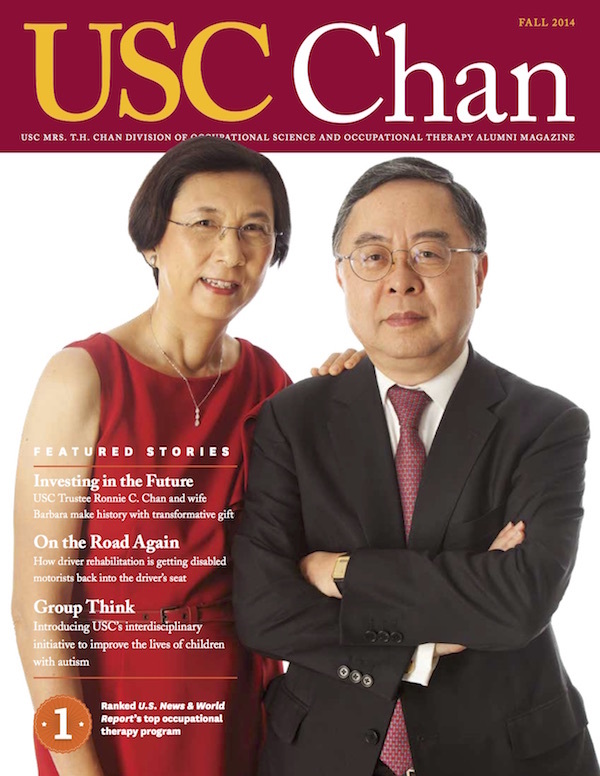 Colloquially known as the “USC Autism Center,” this endeavor will ensure that children, adolescents and adults with autism spectrum disorders and their families truly thrive — reaching their greatest potential and experiencing optimal quality of life through their engagements and participation. Through research, training, education and community partnership programs, the USC Autism Center will develop best practices for creating, implementing and disseminating novel therapeutic and enrichment strategies that engage children, adolescents and adults with ASD. 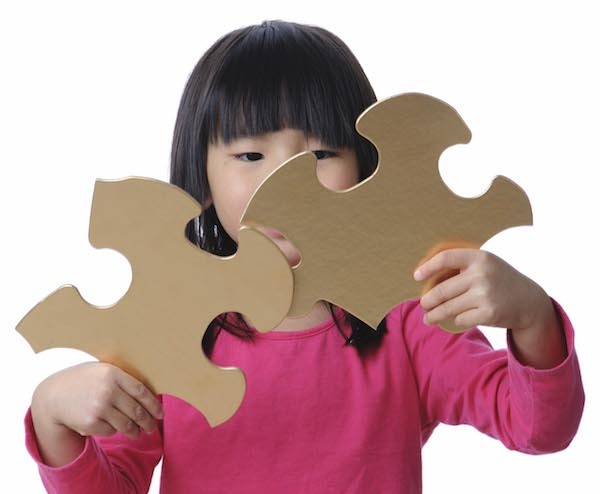 It will focus on developing a cross-disciplinary basic and translational research agenda shaped in collaboration with a network of people living with ASD. This alliance, we believe, will unify the very best talents of our academic community with the expertise of the ASD community to foster a generation of efficacious solutions to real-world, urgent and frequent dilemmas. Together, these engagements will magnify the voices of the ASD community as their expressed concerns and expertise will richly inform and guide efforts at USC. This international-level, highly innovative research, treatment and life-transition program will leap beyond traditional research-based approaches to more rapidly enrich the quality of life for individuals with ASD and their families. Special thanks to Pat Levitt, provost professor of neuroscience, pharmacy, psychiatry, pediatrics and psychology at the Keck School of Medicine of USC and USC School of Pharmacy, and Mary Lawlor, associate chair of research and professor at the USC Chan Division and Keck School, for contributing to the white paper introducing the USC Autism Center.